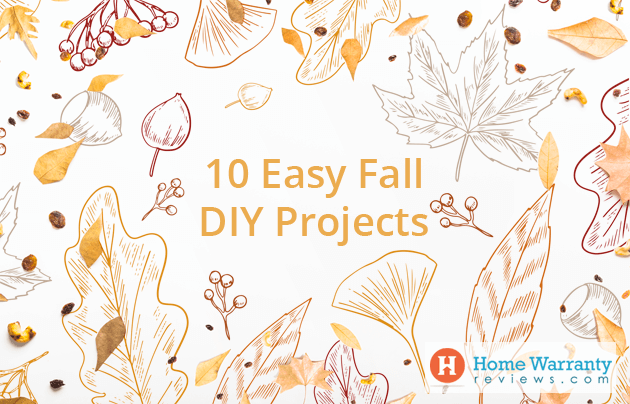 Get your home ready for the season with one or all of the DIY projects for fall. This is the perfect time to start on DIY fall decor if you have some time on your hands. This means that you can take time off to find some fall season crafts that will keep you busy all season long. So if you are looking for some DIY fall ideas then you have come to the right place. These DIY project ideas are easy to do with the kids too. DIY crafts for fall will keep you covered as you enjoy a fantastic time making them and enjoying them this fall. First start by wiring your little pumpkin to your foam wreath ring. Then pop out the stem on the top, drive a scissors through the foam of the pumpkin and thread both ends of the wire through from the top to the bottom and glue the stem back on with a hot glue gun. Once done, simple wrap the wire firmly around the foam ring. Use a lot of hot glue to cover the foam wreath ring in moss. This won’t take long as the glue sticks to the moss quickly. Next, you should attach the burlap ribbon and cut out the long length of the ribbon and loop it through the top of the wreath. Use hot glue to fix the loose ends together. Adjust the length of the burlap to fit your door. If you are making the big bow, you’re gonna need to use two pieces. First, cut the strip of burlap that is 2 feet long and fold both ends into the middle so that they are touching. Next, you should hot glue them in place. You should fold and pinch the ribbon in the center and the glue those folds together. Then take a small strip of burlap and give it an asymmetrical rumple and wrap it around the center of the bow and add a lot of glue and anchor it to the top of the burlap hanging strip. Start by inflating the balloon and tie it up. Put the balloon into a bowl and then gather a handful of artificial leaves in mixed fall colors. With the help of a paint brush, you need to cover a leaf-sized spot on the balloon with Mod Podge and press a fabric leaf onto the spot. You should cover the leaf with more Mod Podge with the remaining leaves. Continue this until the bowl is shaped out of leaves. Ensure that you paint the leaves with a thick layer of Mod Podge. When the leaf bowl is the size you like, let it dry overnight. After it is fully dry, you should pop the balloon and carefully peel it out of the bowl. Now you have a brand new leaf bowl. There’s nothing more fundamentally fall than carved pumpkins that you can put on your yard and porch. Though it requires working space, you need to also lay papers to easily get rid of the mess. First cut a circle around the stem of the pumpkin and remove the pumpkin guts. You need to start only once you decide on the design. You can find a stencil online, print it and use it as a guide. 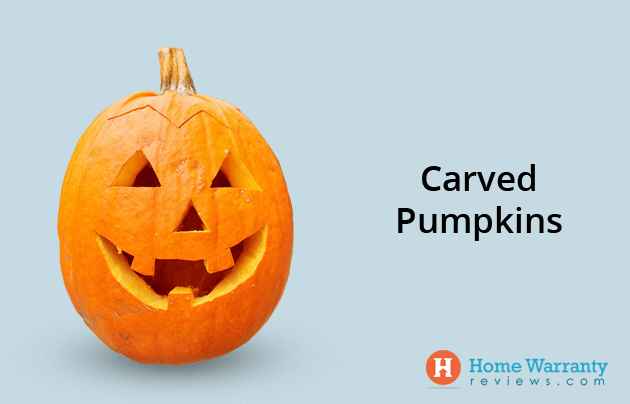 There are ways to keep your pumpkin from rotting with household items. But the best thing that you can buy is pumpkin spray. You can create this amazing candle holder using things like fall leaves, mod podge, a sponge brush and a clean mason jar. Apply some mod podge on each leaf and stick them one by one into the mason jar. Make sure to stick the leaves in a layer and pattern to create a neat design. This easy craft may take a couple of hours to dry, but when it completely dries out, you can put candles inside and watch them glow. Step 1: Take the toothbrush and remove all dust from the pine cone. 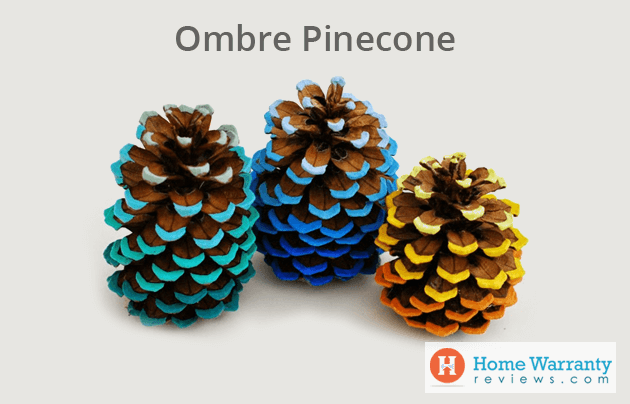 Step 2: Use the paintbrush and add the first shade to 1/4th of the pine cone. You should use the darkest shade from the bottom and work yourself up. Step 4: Repeat the previous step until you reach the top. If you want the pumpkin to stand out then you should do the DIY mercury glass pumpkin trick. All you need is these supplies and to follow these steps. Make sure that you buy a glass pumpkin made of clear glass and make sure it is not made of styrofoam. Also, you need to ensure that you buy it from a good store which is not a dollar store. Make sure that the looking glass spray paint does not get on the outside of the pumpkin. It should completely the exterior of the pumpkin. Then you should mist the inside of the pumpkin with water. Ensure that you shake the paint can for a minimum 3 to 5 minutes as the longer you shake it the better it is. Then you should spray the looking glass paint inside the pumpkin in short bursts. When it mixes with water it creates a runny consistency. You should pick up the pumpkin, roll it around so the water and paint mixture spread out all over the inside of the pumpkin. This would create a faux mercury effect that you want. Remove all the excess water. You need to make sure that the entire inside of the top is filled with runny water and a spray paint mixture. After this, you should leave these pieces to dry and then based on the directions spray paint. Replace the lid and you are good to go. Well, if you don’t have the time to carve pumpkins then these painted wood slice pumpkins should do the trick. Just buy some wooden plaques from a store, paint it orange and add some sort of embellishment. There you go! You have a cute pumpkin and its super easy to make yourself. The best part is that you can create your own collection in a matter of minutes. Paint your wooden plaque with the orange acrylic paint. When its drying you should paint the balsa wood sticks with brown acrylic paint. When you find that the balsa sticks are dry, you can use a small saw to shorten them to desired length to make the stem of the pumpkin. Next, you will have to glue the balsa sticks to the back of the wood slice. Then you should cut a length of coiled floral wire and wrap around balsa sticks. Finally, you complete it by curling the wire with finger. Once complete this DIY project will look so lovely and natural. This is why you should create one for yourself and enjoy a feel for nature. Step 1: Cut thin pieces of wood from a dried log with a chop saw and do it slowly. Stop when the log gets smaller for safety reasons. The next thing that you need to do is to tie a piece of burlap on a flat wooden wreath and attach it to wooden slices in a single layer using an adhesive. Make sure that you do not use the glue when it is hot as if you use it outdoors when it can melt and fall part. Step 2: You should add a second layer with the overlapping where the first layer piece meets. Isn’t it lovely to have a natural wood grain. 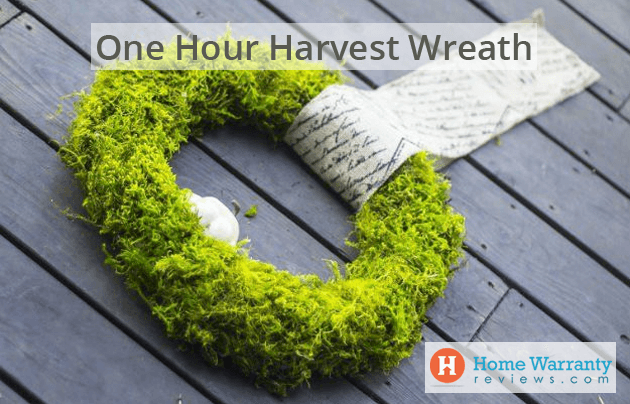 Step 3: You can use branches, dried flowers from stores and folds of wired burlap ribbon and lay them all together and glue them to the front of the wreath. If you would like to spell out your gratitude this Thanksgiving then you can create fall words depending on how you want to use them to decorate. The possibilities are endless and you can get creative with your ideas. Step One: First you should remove the labels and the adhesive from the cans and clean each can and finally dry it. You can do this by removing the label with olive oil and baking soda. Step Two: Next you will have to fill the can with rice and water at the top and freeze completely. This will give you a stable can which you can punch and this will prevent it from denting and collapsing. Step Three: You should take the printed template onto the can by wrapping the can with duct tape. The tape will not stick to the frozen can and the tape will stick to the paper and hence the wrapping of the can. 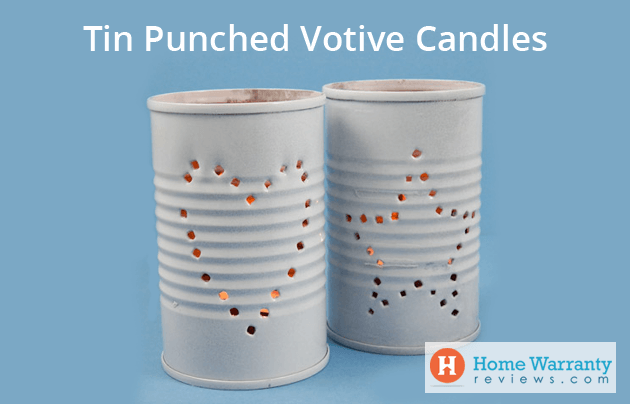 After which, you should use a punch tool to hammer nail-sized holes along the border of the template and make sure the holes are the diameter of the nail else the light will not show properly in the finished candle holder. Remove the rice and ice filled in the cans and defrost it. Step Four: First prime the cans and then paint it with gold paint and the outside with white. Make sure that you prime the cans to ensure that adhesion of the paint. Based on trial and error you will know that spray paint works best. After it dries then you should turn the can upside down and spray it with light coats of white paint and you’re done. There’s nothing like having your home run like a well oiled machine. But the most important thing to do is to maintain it. 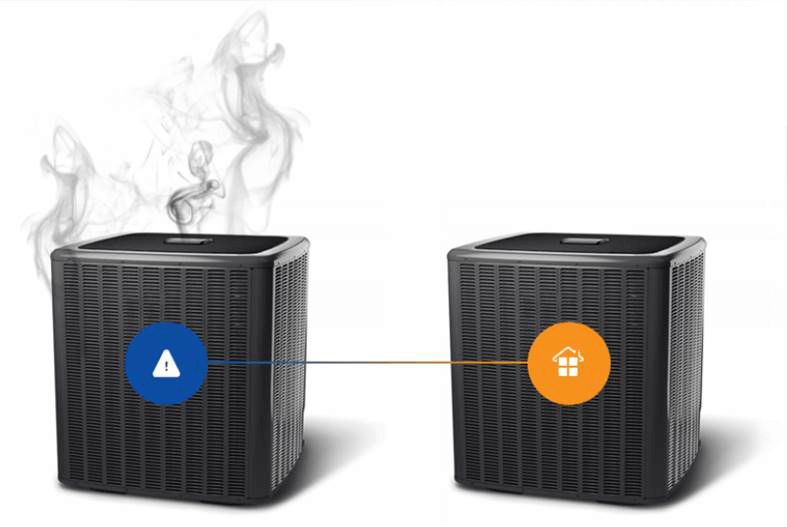 This is due to the amount of wear and tear that your appliances and systems have based on usage. In order to repair these appliances, there would be monetary costs that would be involved in restoring it. This calls for a home warranty. 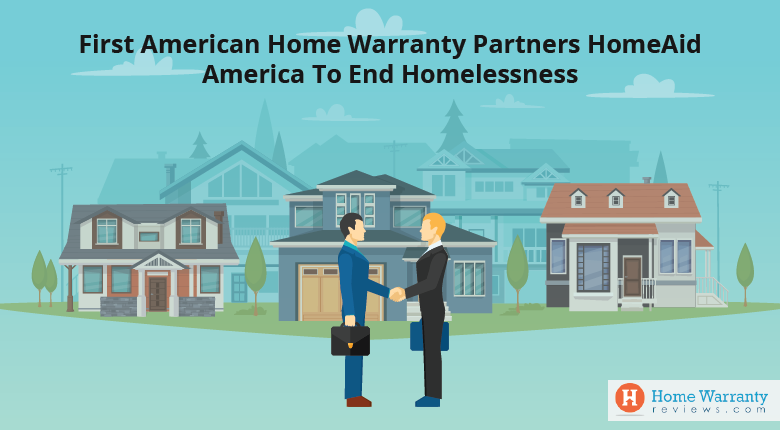 A home warranty is one that would ensure that your home stays well protected from breakdowns. 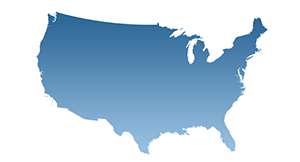 What you need is a free quote and compare home warranty plans. Choose wisely! 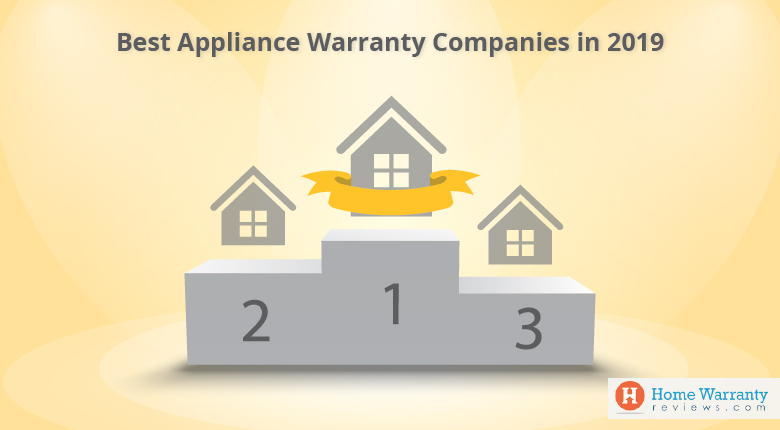 Prev Post:Which Appliances Should You Buy Warranties For?